Until the 1970s, most of the Chinese restaurants in New York City served Cantonese food. Starting in the ’70s, however, New York’s Chinese restaurants began serving more diverse regional cuisines. This study illustrates that Taiwanese immigrant restaurateurs were largely responsible for this change. In the 1950s, Taiwanese began immigrating to the United States. Some of the immigrants were of high socioeconomic status and worked in white-collar professions, but many, like the Cantonese immigrants that preceded them, worked in lower-status jobs or opened small businesses, like groceries, tailor shops, and restaurants. These Taiwanese restaurateurs changed New York’s Chinese food landscape. They opened restaurants throughout the city, broadened our knowledge of Chinese regional cuisine, and made important innovations in New York’s restaurant business, pioneering photographic menus and food delivery. Mr. Lin Jiongguan was born in Taichung, in central Taiwan.1 During the 1960s, he served as a manager of supplies at the Ambassador Hotel (Guobinfandian, 國賓飯店) in Taipei. 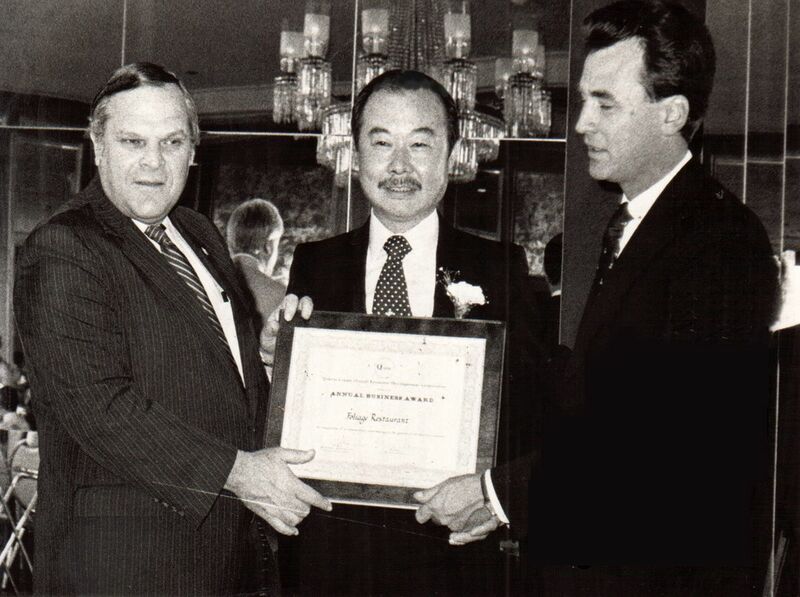 At that time, Taiwan’s restaurant industry was in its early stages, and through his work at the hotel, Lin familiarized himself with a variety of Chinese cuisines.2 In the early 1970s, Lin immigrated to New York City with his family. His prime motivation was his hope that America’s higher education would benefit his children. In 1975, Lin opened a Chinese restaurant called Cottage Grill (Wufu, 五福) on 46th Street and Broadway, which remained opened until 2000. According to Lin, before the 1970s, New Yorkers knew little about Chinese cuisine because, aside from the Cantonese restaurants in Chinatown, only a few Chinese restaurants dotted the city landscape. Because New Yorkers at that time were still largely unfamiliar with Chinese food, Lin took photos of all of the dishes and included them on both an outdoor signboard and interior displays. Lin regarded his restaurant as a fast-food establishment and marketed it accordingly. In fact, he characterized it as a cafeteria that served only “one main food staple (either rice or noodle) and three dishes” (Sancaiifan, 三菜一飯).3 Most meals cost just $2.99; shrimp dishes were $3.99. Cottage Grill’s menu included Japanese-style curry chicken, shelled fresh shrimp, beef with green peppers, fried chicken, and mixed vegetables. Because New Yorkers at that time were still largely unfamiliar with Chinese food, he took photos of all of the dishes and included them on both an outdoor signboard and interior displays. According to Lin, photographing and displaying images of Chinese dishes was rarely done at the time and proved to be extremely expensive. He emphasized this point and expressed pride in his pioneering work. Lin’s Cottage Grill restaurant remained in operation from 1975 to 2000 for three major reasons. First, prior to the opening of his restaurant, very few cafeteria-style Chinese fast-food restaurants were in business outside of Manhattan’s Chinatown. Second, the innovatively displayed photos of dishes, whether inside or outside the establishment, created a customer-friendly atmosphere, helping patrons recognize what type of dish they would be ordering and eating. Third, the restaurant benefited from President Richard M. Nixon’s visit to China in 1972 and the United States’ establishment of diplomatic relations with the People’s Republic of China in 1979. These shifts in American diplomacy fueled people’s interest in Chinese food and benefited Lin’s restaurant in particular. Morris Lee (呂明森) didn’t always want to be a restaurateur.5 After what he described as a carefree childhood growing up in a doctor’s family in southern Taiwan’s Jiayi County, he attended Tamkang University in Taiwan, and then moved to Tokyo to study interior design. He then relocated to New York City, where he established an architectural business called the Pan-Beauty Company in Flushing, Queens. Obsessed with the idea of promoting Taiwanese cuisine in the Unites States, Lee opened Foliage Restaurant (Hongyue, 紅葉) in Flushing in 1982. His previous academic and vocational experiences in Taiwan, Japan, and the United States gave him a rare set of talents and abilities, and his restaurant attracted considerable attention from members of New York’s Taiwanese community, as well as from the local news media, with much of the focus on the restaurant’s unique design and delicate Taiwanese cuisine. Lee incorporated Japanese elements into his restaurant liberally. Japan had occupied Taiwan from 1895 through 1945, and the island was greatly influenced by Japanese culture. Lee had become even more familiar with Japanese culture during his time as a student in Tokyo. Foliage Restaurant’s decor highlighted a dining atmosphere in a Japanese style, while emphasizing the visual appeal of the establishment, and of course, the visual delicacy and refined character of its foods. Lee worked tirelessly to achieve these features. For example, he applied natural Japanese elements to his restaurant’s design, using decorative wood and stone for the main entrance, dining tables and floor. In fact, the restaurant had a distinctly Japanese visual appeal to it. Lee also combined Japanese and Taiwanese cuisines, going so far as to create a sushi bar serving both Taiwanese dishes and Japanese sashimi. The purpose of this bar was to help customers relax before they were seated at tables. Lee hired chefs from Taiwan to prepare Taiwanese cuisine, ranging from steamed fresh abalone, steamed lobster, and mullet roles (wuyuzhi, 烏魚子) to high-end dishes. Foliage Restaurant’s decor highlighted a dining atmosphere in a Japanese style, while emphasizing the visual appeal of the establishment, and of course, the visual delicacy and refined character of its foods. Lee also used music to enhance his customers’ dining experience. He hired bands to perform Taiwanese, Japanese, and English songs on weekends. The restaurant’s piano bar operated daily and livened up the dining atmosphere with karaoke performances. Rarely seen in New York City in the 1980s, karaoke was prominent in Japanese culture. Lee had learned about this form of cabaret in Japan and introduced it to his customers. To market his restaurant, he placed advertisements in many influential Chinese-language newspapers printed in New York. In large part because of the time and effort that he devoted to both designing and running Foliage Restaurant, it soon attracted a reverent following in Flushing’s Taiwanese community. In fact, Foliage Restaurant received a prestigious business award from the borough of Queens for promoting Taiwanese cuisine in Flushing. Unfortunately, Lee closed his restaurant in 1986, after a shootout involving rival gangs took place during a late-night meal. His career as a restaurateur over, Mr. Lee devoted himself to the promotion of commercial development in the US Taiwanese communities and used his expertise in interior design to help many owners of Taiwanese restaurants in the greater New York City area design their restaurants. From 1976 to the 1990s, Empire Szechuan Gourmet Franchise, run by Taiwanese immigrants, played a pivotal role in the Chinese restaurant scene. These immigrants ushered in a golden age of Chinese cuisine in greater New York, simultaneously running up to 14 restaurants in the 1980s and the 1990s. Moreover, the chain was a pioneer of restaurant food delivery in New York City. The first restaurant in this chain opened its doors to the public on the southwest corner of 97th Street and Broadway in 1976. The restaurant’s establishment was a collaborative effort undertaken by three people: Mr. Hsiao Chungchen (蕭忠正), Mrs. Chang Yafeng, (張亞鳳), and Mr. Wong Yinjun (翁英俊, also known by the nickname “Handsome Wong”). Wong was Chang’s younger adopted brother. According to Hsiao,6 his wife came up with the name “Empire Szechuan” in reference to New York State’s nickname, the Empire State. 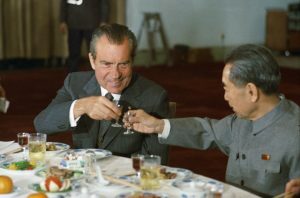 Furthermore, President Nixon’s aforementioned visit to China in 1972 had spurred Americans’ interest, not just in Chinese food generally, but particularly Szechuan and Hunan cuisines. Thus, the decision was made to name the chain “Empire Szechuan Gourmet Franchise” (Shuxianyuanjituan, 蜀湘園集團)7, which in Chinese literally means “The Garden of Szechuan–Hunan Cuisine.” During the initial operation of the chain’s first restaurant, Empire Szechuan Gourmet Franchise sold both Taiwanese and Szechuan dishes. The former specifically attracted the attention of Taiwanese students attending nearby Columbia University. Hsiao and Chang were responsible for the front-of-the-house work, such as taking orders, managing food-delivery services, and training and hiring employees; Wong was responsible for the kitchen, owing to his previous experience doing prep work and line cooking in Taiwan. At a time when delivery from New York City restaurants was rare, Hsiao hired Taiwanese students from Columbia University to do this work. 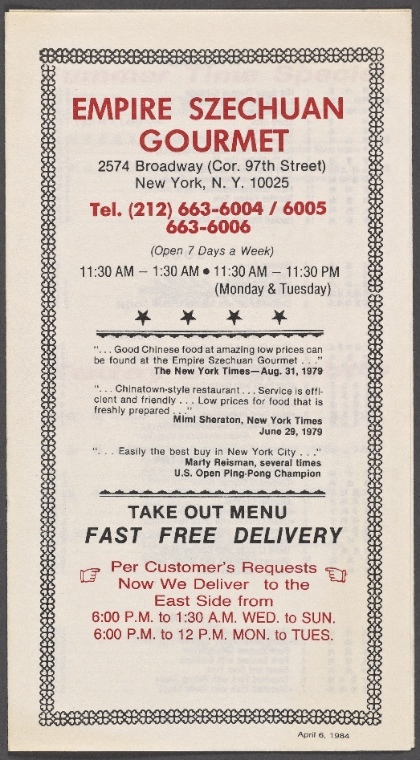 In fact, Empire Szechuan was one of the city’s first eateries to popularize home delivery. Within a short time, this market strategy quickly expanded the first Empire Szechuan branch’s reputation throughout upper Manhattan. 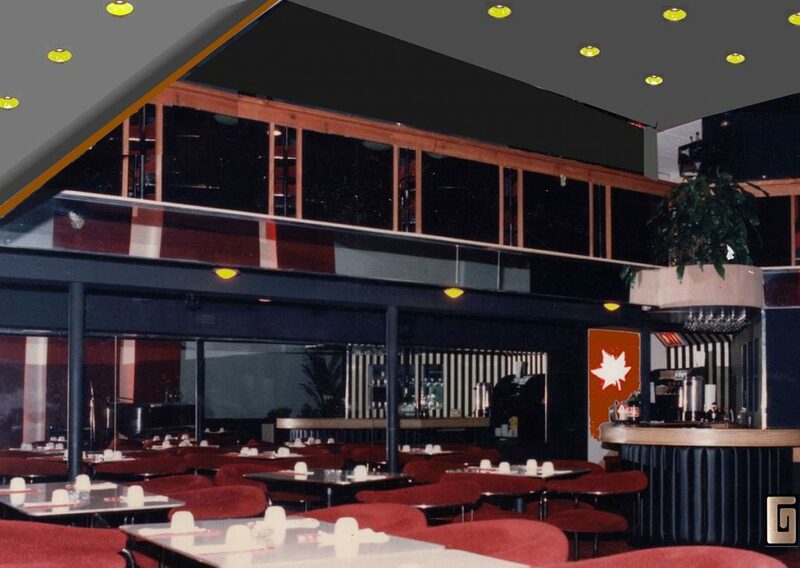 In 1980, Empire Szechuan opened its second and third restaurants at the same time, one located at the intersection of Columbus Avenue and 68th Street and another on Third Avenue and 29th Street. As the chain expanded, the number of owners increased from three to six. In addition to Hsiao and Chang (and not including Mr. Wong, who left the chain because of differences over management styles), Empire Szechuan had four new co-owners: Mr. Ma, Chef Chen, Chef Jiang, and Chef Wu, the last three of whom came from the Dachen Archipelago. As noted above, many former residents of the Dachen Archipelago immigrated to New York in search of employment opportunities, and many of these immigrants, after learning how to cook, became highly competent chefs. Hsiao and Chang had worked with Chef Chen, Chef Jiang and Chef Wu for several years and had come to regard them as amiable and responsible. Thus, during the expansion of the chain, they decided to invite the three chefs to join the list of co-owners. According to Hsiao, the golden age of Empire Szechuan Gourmet Franchise stretched from the 1980s into the 1990s, during which time there were, at the chain’s peak, a total of 14 restaurants simultaneously operating in greater New York City, including locations from Manhattan to Long Island.8 In order to ensure sufficient daily food supplies to all of the franchises in greater New York, the company even established a supply center near Lincoln Center. The number of Empire Szechuan franchises ebbed and flowed as a result of organizational factors, economic climate, and personal conflicts between the owners. In addition, the revitalization of New York’s Chinese food scene that the company had helped to create greatly increased both demand and competition. By the 1990s, Chinese immigrants were flooding into greater New York, and many of them opened their own restaurants specializing in Chinese food, thus creating fierce competition for the chain. When I interviewed Hsiao, he had been retired from the company for almost two decades. In retrospect, he was very proud of the contributions that the chain had made, promoting Americans’ awareness of Chinese food in general and of Szechuan–Hunan cuisines in particular. Hsiao enthusiastically praised the chain’s Szechuan offerings, including fish-flavored eggplant in garlic sauce, a series of dry-fried dishes, and sesame-paste noodles. President Nixon’s visit to China in 1972 had spurred Americans’ interest, not just in Chinese food generally, but particularly Szechuan and Hunan cuisines. ... Empire Szechuan Gourmet Franchise sold both Taiwanese and Szechuan dishes. The stories of the these three Chinese restaurants run by Taiwanese immigrants in New York from the 1970s to the 1990s illustrate that Taiwanese immigrants, due to their commercial competence and ingenuity, played a pivotal role in promoting and selling Chinese cuisine, broadly defined, before the huge flood of mainland Chinese immigrants began in the 1980s. Nowadays, restaurant-goers enjoy various Chinese cuisines in New York, including American-Chinese food, regional Chinese cuisine, and even authentic Taiwanese cuisine. Back in the early 1970s, however, before US–China diplomatic relations were officially established in 1979, and even before President Nixon’s visit to China in 1972, Americans in general—even New Yorkers—knew little about Chinese food except for what they ate at the early Cantonese restaurants. The first case examined in this study reveals that Lin invented, or at least pioneered, a specific market strategy both by running a Chinese fast-food restaurant, which was rare in the 1970s, and by offering signboards with photos of the menu’s Chinese dishes, which served as visual guideposts for Americans untutored in the world of Chinese food. The case of Lee’s Foliage Restaurant illustrates a high-end restaurant’s blending of Japanese and Taiwanese elements, including sophisticated decor inside and outside the restaurant, karaoke entertainment, and exquisite Japanese and Taiwanese cuisines. The last case—that of the Empire Szechuan Gourmet Franchise—concerns a restaurant that remains a legend among owners and operators of Chinese restaurants in New York City. The story of the company demonstrates how Taiwanese immigrants successfully ran a Chinese restaurant chain, serving food that went beyond the traditional Cantonese-inspired dishes (chiefly Szechuan–Hunan cuisines). The franchises offered boldly flavored Chinese dishes to an American dining public, which, in the 1970s, became increasingly interested in Chinese cuisine, in part because of political developments. The golden age of restaurants initiated by Taiwanese immigrants faded with the dramatic influx of Chinese immigrants that led to the establishment of “authentic” Chinese restaurants in greater New York City. These three stories reveal an often-overlooked aspect of the history of Chinese cuisine in the United States. Chunghao Pio Kuo received his PhD from New York University in 2013 and is currently an Andrew Mellon post-doctoral scholar at the University of Illinois at Urbana-Champaign. Kuo is a historian of early modern China, specializing in food, medical, animal, and environmental histories. He has published numerous academic articles and chapters in English and Chinese. A book version of his dissertation, which explores the practice of pig-feeding and the consumption of pork in early modern China, will be published by the University of Hawai’i Press as Pigs, Pork, and Ham: From Farm to Table in Early Modern China. He is currently working on a second project titled Animal Matters: Epidemic Diseases, Public Hygiene, and Food Safety in China (1700–1900).